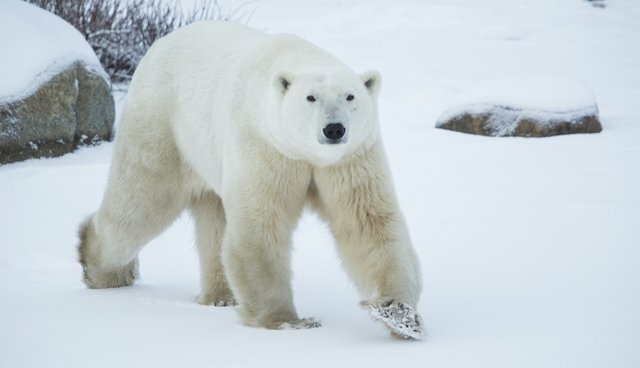 Today is International Polar Bear Day, and to celebrate Google has unveiled a new way for users from around the world to see the iconic animals and explore their natural environment in the icy Canadian north -- all without needing to put on a jacket. Late last fall, Google technicians, in partnership with Polar Bear International (PBI), visited Churchill, Manitoba along the shores of Hudson Bay to capture Street View images of polar bears at home on the tundra. 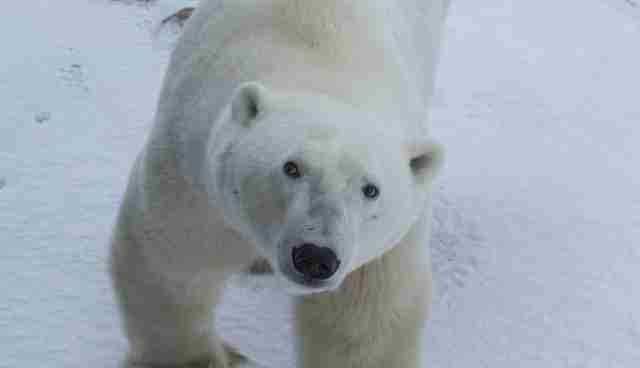 The ambitious project, the first of its kind aimed specifically for wildlife in a region known as the "Polar Bear Capital of the World", reveals a snowy world that few will ever have the chance to see first hand -- offering an unfiltered view of its most famous inhabitants. "I think the whole thing is going to be really exciting," says PBI executive director Krista Wright. 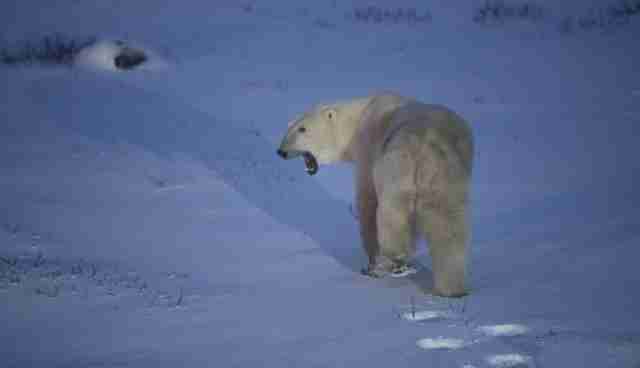 "You have the opportunity to see polar bears in natural habitat. There's imagery of sparring bears – this behavior that we see with male bears where they stand up on their hind legs and kind of play fight. There's images of a mom nursing a cub." 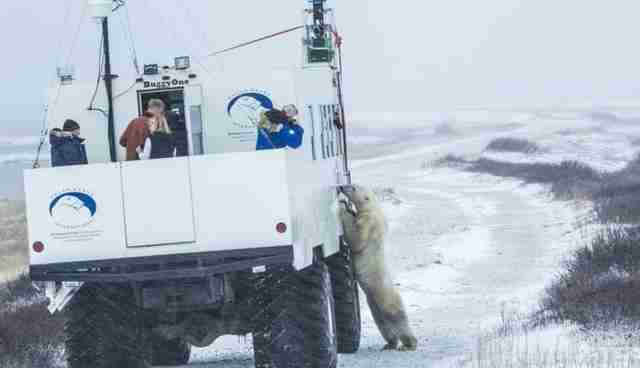 Street View images were gathered by mounting panoramic cameras atop specialized vehicles, called Tundra Buggies, which can gently travel across the fragile landscape with little interference to polar bears or other native species. But the new Street View isn't just to let users explore wildlife from home, says Wright, it's also about documenting a habitat that's under threat from a changing climate. "There's more to this effort than images of cuddly bears, though," she says. "PBI has been working in this region for more than 20 years, and we've witnessed firsthand the profound impact of warmer temperatures and melting sea ice on the polar bear's environment." Show your support for polar bears on #PolarBearDay by sharing on Facebook, Twitter and Instagram with #PolarBearDay. And join The Dodo to blog about why this issue matters to you.